In a slow cooker, whisk together passata, broth, vinegar, chili powder, sugar, coriander, cumin, 1/4 tsp (1 mL) of the salt and cayenne pepper. Stir in onions and garlic; set aside. In a large bowl, rub turkey thighs with oil, thyme, remaining salt and pepper. Heat a large nonstick skillet over medium high heat and brown turkey thighs well on both sides. Nestle in sauce in slow cooker and cook on Low for 6 to 8 hours, or on High for 3 to 4 hours until turkey meat is falling off the bones. Remove turkey thighs from slow cooker and shred meat with two forks while removing any bones or cartilage. Return shredded turkey to slow cooker and stir into sauce to coat well. 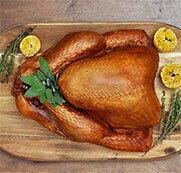 Serve on buns, over rice or noodles or in another great turkey recipe. 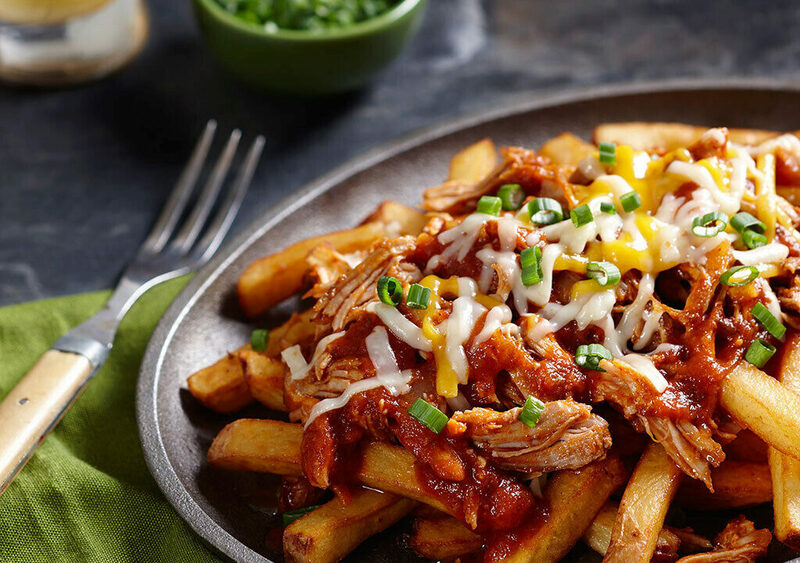 Pulled Turkey Poutine: You will need half of the pulled turkey recipe to make a deliciously meaty poutine! Bake French fries according to package directions on a large parchment paper lined baking sheet. Then, ladle pulled turkey and sauce evenly over top of fries and sprinkle with cheese. Bake in 400 F (200 C) oven for about 10 minutes or until cheese has melted. Pulled Turkey Nachos: Omit baked fries and use 1 bag (300 g) tortilla chips.